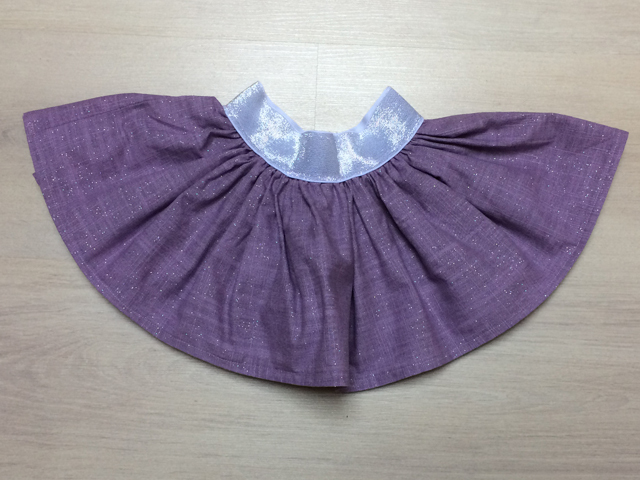 When I had finished my June dress, I still had a fair amount of the purple fabric left. 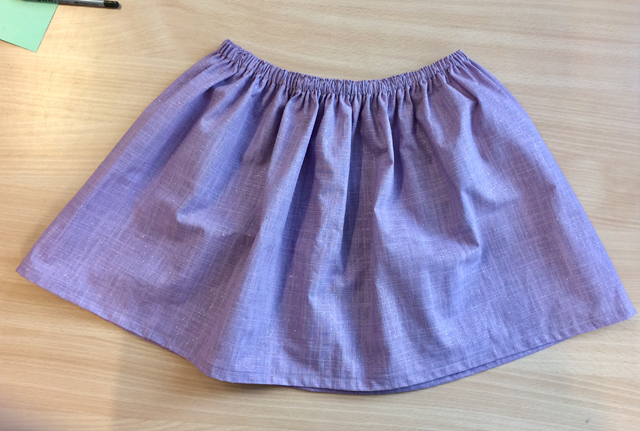 I didn’t have to think long about what I wanted to make with that: skirts! 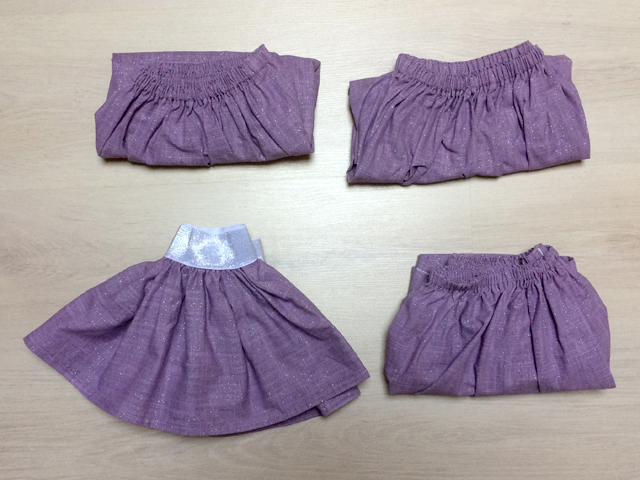 I hoped I would have enough to make a little skirt for each of my four nieces and I did! For the youngest, Line, I did have to change the model from a lined elastic to an outside elastic to have enough length, but the end-result is super cute. What is your go-to-pattern to use up fabric scraps?